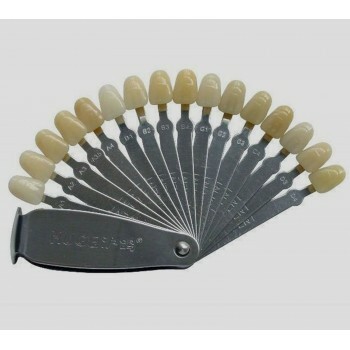 Buy Cheap VITA® 3D-MASTER Linearguide form Alandental.com|Dental Equipment for Sale! 1. 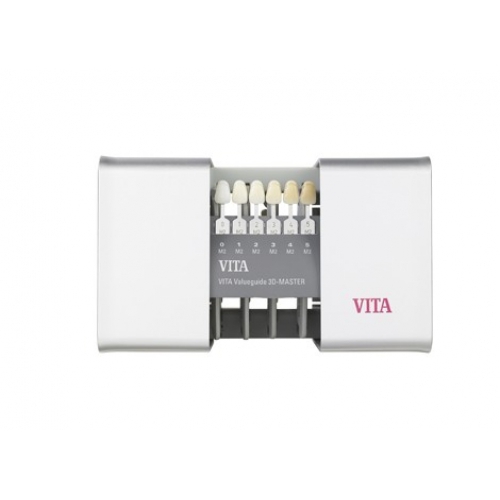 With the VITA Linearguide 3D-MASTER you can determine the correct tooth shade swiftly and accurately. The modern design and systematic structure of the VITA Linearguide enable the appropriate 3D-MASTER shade to be found quickly. 2. The VITA Linearguide 3D-MASTER facilitates the changeover from traditional shade-taking systems to the precise shade determination and shade communication in the VITA SYSTEM 3D-MASTER. 3. 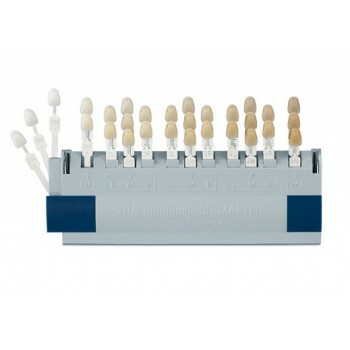 The VITA Linearguide 3D-MASTER contains the same 29 shade samples as the VITA Toothguide 3D-MASTER. 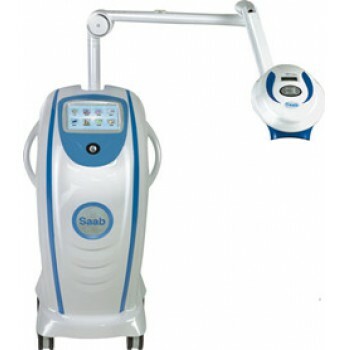 The VITA Linearguide 3D-MASTER was developed in collaboration with Dr. Rade D. Paravina from the University of Texas, Dental Branch at Houston, Texas, USA. 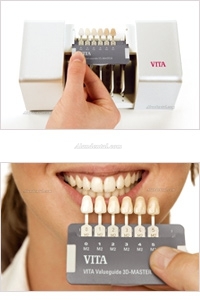 It contains the same 29 shades as the VITA Toothguide 3D-MASTER. 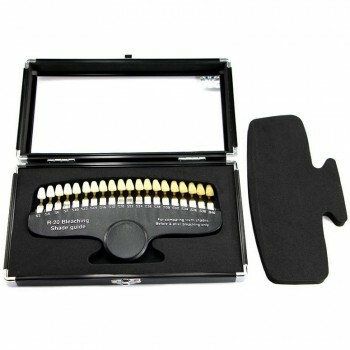 With the VITA Linearguide 3D-MASTER you can determine the correct tooth shade swiftly and accurately. The modern design and systematic structure of the VITA Linearguide enable the appropriate 3D-MASTER shade to be found quickly. Remove the VITA Valueguide 3D-MASTER from the already unclosed VITA Linearguide 3D-MASTER. Make a first choice using the VITA Valueguide 3D-MASTER. In doing so, you determine the correct degree of lightness 0 to 5. Now make a detailed choice within the determined degree of lightness from step 1 using the corresponding VITA Chroma/-Hueguide. 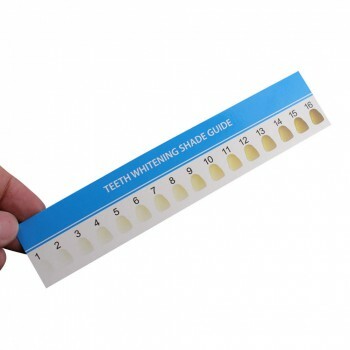 You determine the correct tooth shade in a quick and reliable manner. Flexible and convenient rational arm,whatever angel can be located. Accommodate to pigment nien teeth,internal pigment teeth,tetracycline pigmentation teeth and dental fluorosis. 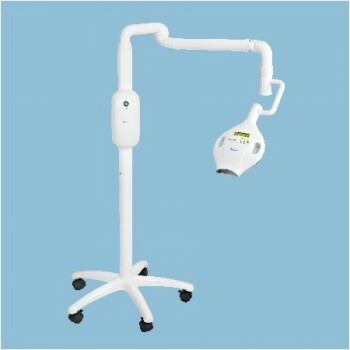 Nicer whitening effect,5-8 steps(VITA) to be boosted for one period of treatment.